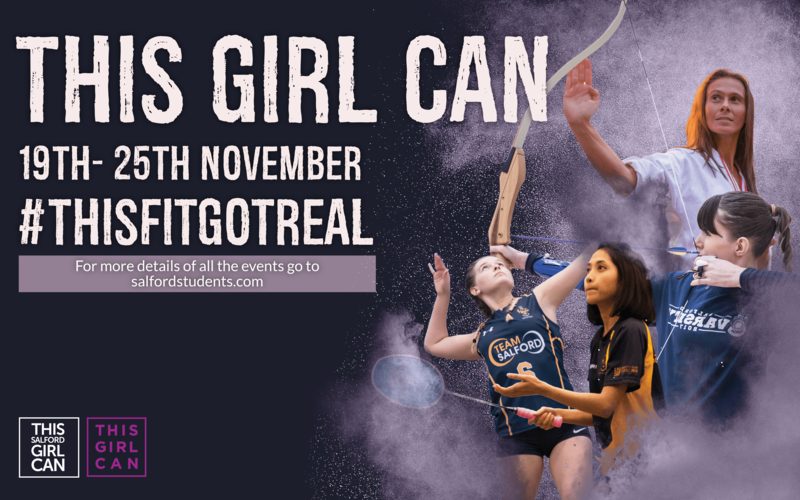 This Girl Can is Sport England's nationwide campaign to get women and girls moving, regardless of shape, size and ability. Fear of judgement, lacking confidence, not having enough time – their research shows there are a mix of practical and emotional pressures that stop many women from being as active as they would like. 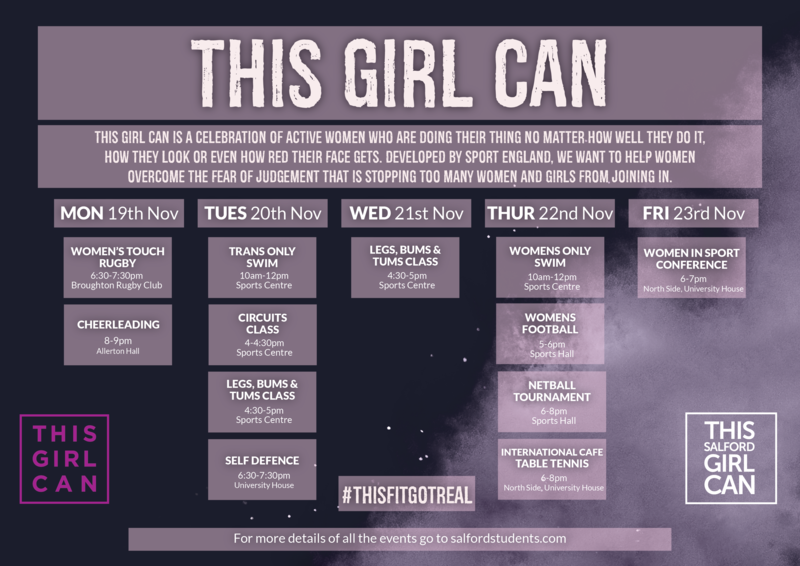 We want to fully support this campaign and get as many women on campus active by making sport and physical activity as accessible as possible. That's why we are running This SALFORD Girl Can - full of fun and physical sessions to get you moving!